The first relatively modern awakening to the existence of the Olmecs was when plantation workers in 1862 came upon what they thought was a large, buried, iron kettle. Upon further excavation, and driven by thoughts of buried treasure, they finally excavated a huge stone carved head, which turned out to be the first Olmec sculpture to be discovered in Mexico. Followed a 365 day year. All had similar religious rituals and the same Gods of fertility, war, sky & nature. Regarding the thick-lipped Negroid features of their carvings, some researchers postulate that the Olmecs originally came from Africa, and indeed their language is very similar to that spoken today in Mali. Details of facial scaring & lines on Olmec statues also bear similarities to tribal marks found among the Yoruba peoples of West Africa. La Venta in Tabasco (the eastern sector), dominated the rich coastal estuaries, including the cocoa, rubber & salt trade. San Lorenzo Tenochtitlan in Veracruz was at the centre of the Olmec civilization, and an important political/religious centre, which controlled the vast floodplains of the Coatzacoalcos basin and river trade routes. The first drainage system in Mesoamerica was discovered there, consisting of channelled blocks of stone set into the earth, covered with slabs. Their region is also famous for the colossal basalt carved heads, weighing 20-40 tons each. Laguna de Los Cerros, also in Veracruz, to the West, controlled the important basalt mines/mountains, important for the manufacture of Metates (stones for grinding food), & monuments. The Olmecs must have had a high regard for art as many cave paintings & huge stone sculptures have been found, along with jade artefacts & statues. Typical Olmec art featured jaguars, thick-lipped soldiers and goatee-bearded men and often a combination of Jaguar and children. As they believed themselves to be descendants of the Jaguar, the animal was held in very high esteem, often featuring in religious ceremonies. Some of these huge carved stone heads have been found up to 100km away from the source of stone, leaving researchers still wondering exactly how they managed to transport such massive pieces those distances, though the likeliest explanation must be that they floated them on barges down the extensive network of rivers. Rubber was first exploited by the Olmecs and various carvings show ball games where the ball could be deflected off elbows, hips, knees and head, though using the hands was considered an illegal move. Initially, the Olmecs in the swampy tropical heartland lived a hunter-gatherer lifestyle, later spreading to outlying areas and developing agriculture and distinct political & economic hierarchies as wealth and commerce with outside people grew. Olmec religion featured mainly worship of the Jaguar and Werejaguars (children with Jaguar features), though snake worship was popular too. They believed that the Jaguar was very closely associated with a person's spirit and that should the Jaguar die, the person would also die. In common with all religions, to maintain their position in society the Olmec ruling elite needed to make the people believe either that they were Gods or that they were associated with The Gods (Gods of Fire, Water, Earth & Sun were the popular deities). Their religion, symbolic language and archtictural systems seemed strong & popular enough to have lasted through to the Zapotecs, Teotihuacans and Mayan peoples, until everything changed with the Spanish conquests of Hernandez Cortez and Spanish influence. That of the Catholic Church being especially instrumental in destroying the old Gods and bringing a new one that eventually spread throughout the whole of South America. Some might argue that Catholicism brought about changes for good and others point to the great poverty of the majority of predominantly Catholic South America. by the wise as false, and by rulers as convenient." Each year, millions of individuals travel to Mexico. Many travels to Mexico for a vacation or a business trip. Whatever your reason for traveling to Mexico, there are a number of important things that you must consider. Perhaps, the most important is the laws in Mexico. Whether you are driving to Mexico or flying there, you will need to have the proper forms of identification. Picture identification and proof of citizenship will be required. To prove citizenship, a birth certificate or passport can be used. Without the appropriate documents, you may be denied entry. Before leaving for Mexico, it is advised that you make multiple copies of your identification documents. You are encouraged to leave a copy at home and carry another copy with you, in addition to the original documents. If you should have a problem with the Mexican authorities, these documents will come in handy. Out of all of the people that to travel to Mexico, most will not encounter a problem with authorities. To prevent a problem from occurring, you are encouraged to know and understand some of the laws that are currently in place in Mexico. Knowing and abiding by these laws will not only keep you safe, but it will make your vacation enjoyable. As with any country, Mexico has a large number of laws that are currently enforced. While it may be impossible for you to examine each and every one of these laws, you are encouraged to familiarize yourself with the most important ones. For instance, many individuals believe that checking in at the border is all they have to when they arrive in Mexico. If you are like most of the other individuals who visit Mexico, you are there on a vacation. Arriving in Mexico by car is different than arriving there on an airplane. If you plan on driving yourself around Mexico, you will need to register your vehicle. 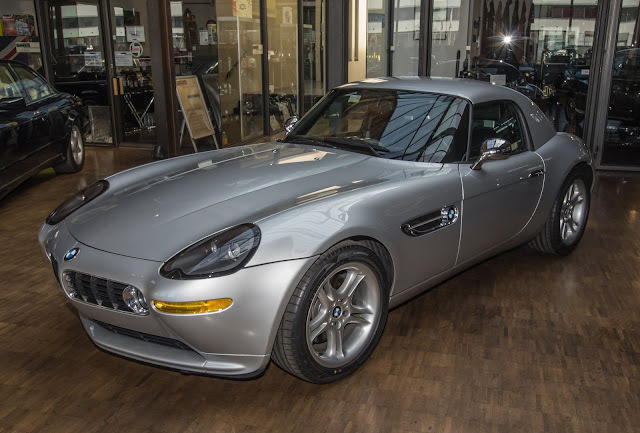 This can be done by obtaining a vehicle import permit. Car owners that do not have the proper approval can be fined or lose their vehicle. If you are traveling to Mexico for a business trip, you will be required to fill out a business form. In Mexico, you are not allowed to conduct business in the area, without first making your intentions known. Business travelers are required to fill out a conduct of business form. If you are self-employed or work for a small company, you will often be responsible for this paperwork. If you work for a larger, international company, the paperwork may already be taken care of. Once in Mexico, you are encouraged to use alcohol with caution. Mexican authorities often arrest individuals that illegal purchase alcohol, cause a public disruption, or drink in areas where alcohol is not permitted. In the United States, illegal drinking activities are taken seriously, but it is nothing compared to Mexico. All punishments will vary, but you easily spend a number of months or years in jail. That is why all tourists are encouraged to use their best judgment when alcohol is involved. While in Mexico, it is likely that you will take risks. For that is what Mexico is all about. There is a difference between taking risks and breaking the laws. It is always important to keep in mind that the laws in Mexico vary from the laws in the United States and other countries. In addition the laws, the way they are enforced and the punishment for breaking them vary. If you are vacationing in Mexico and you find yourself in a predicament with the Mexican authorities, you are urged to contact your nearest embassy. If you are from the United States, you will need to be in contact with the United States Embassy. By contacting your nearest embassy office, you can seek assistance on what to do next. As previously mentioned, the best way to stay out of trouble in Mexico is not to cause it. When partying or participating in other activities, be sure you know what you are doing. When in doubt, it is best to avoid any activities that may land you jail. If you are interested in learning more about Mexican laws, you can easily do the research online. Getting there was a difficult and frustrating day, mainly because I caught the wrong plane from Merida and ended up flying halfway around Mexico, via Mexico City, but when I arrived in Oaxaca, the jade city in the heart of the Southern Sierra mountains, it was all well worth the effort. My hotel was the unique Cameo Real, originally a sixteenth-century convent. Today it is the ultimate in old Spanish colonial splendor, a cool maze of flag-stoned passageways and cloistered patios that are lush with tumbling cascades of jasmine and bougainvillea. Situated in the center of the city in the heart of its mountain-ringed valley, the hotel was only a two-minute walk from the Zocalo, the main plaza with its massive cathedral, and even less from the magnificent baroque church of Santo Domingo, which was visible across the low rooftops from my bedroom window. Oaxaca is a small but beautiful city of shaded plazas, splendid block solid churches with double bell towers, and long streets that run straight with uninterrupted views to the far mountains. Santo Domingo had the most lavish and awe-inspiring interior of any church that I have ever seen, a palatial splendor of gold and gold leaf against cream, decorating huge columns and Moorish arches, with hosts of angels, saints, and cherubs, smiling down from every possible niche. The altar was a golden wonder under a vast dome. Equally impressive in its own way was the Church of La Soledad, situated on a high square on a hill that seemed to look straight out over the rooftops to the mountains beyond. It was Sunday morning when I toured the churches. The services were packed and seemed continuous, one congregation still filing out as the next made their way in. Mexicans are a devout people, and it seems that everyone goes to mass. The lush Oaxaca valley has been settled since before 600 BC and has seen the influence of several of the ancient Indian cultures, the Zapotecs and later the Miztec civilizations. There was even an Aztec military outpost here when the Spanish Conquistadors arrived in the sixteenth century. Today it is enjoying something of a tourist renaissance, being an excellent short-stay add-on in contrast to the ever popular beach resorts of Cozumel and Cancun on the Caribbean coast. From Oaxaca, you can still visit vibrant, traditional Indian markets, rich with colored textiles and handicrafts, in addition to the colorful profusion of local fruits, flowers, and vegetables. In the little shops between the cafes flanking its streets and plazas, you can buy heavy silver jewelry in exotic Zatopec or Aztec designs, inset with precious and semi-precious stones, including the brilliant green jade that gives the city its name. For the best views of the city climb the Escaleras del Fortin, the long series of shaded, upward sloping terraces that ascend the 300-foot climb to the Auditorio Guelaguetza. Every July in this vast auditorium overlooking the city the world famous Guelaguetza festival of folk-dancing is held, an annual competition featuring dancing groups from every region of the state of Oaxaca. It is a musical spectacle not to be missed if you are here at the right time. From above the auditorium, there are bird's eye views of the entire valley, basking in the hot sunshine and framed in wreaths of bougainvillea and palm fronds. You can pick out the splendid domes and bell towers of all the major churches, and from the heights, the huge black monument to Benito Juarez, the reforming President of the 1870s looks out over what was his native city. Oaxaca is also within easy reach of the ancient ruins of the once great cities of Mitla and Monte Alban. The latter is only six miles outside the city, a short drive up into the mountains, but once there you are back in the remote mists of another time. Monte Alban is a stupendous construction, a complex of vast stone pyramids and temple platforms built on top of a twelve thousand foot high plateau where a hill-top has been sliced off a mountain. Monte Alban is believed to have been founded sometime in the sixth or seventh centuries before Christ and went through at least five different phases of occupation and development before it was finally abandoned. The site comprises a huge plaza with temple platforms running down the center and along both the eastern and western sides. There is a great northern complex of ascending temple platforms and an even larger pyramid platform to the south. It is all hot-baked brown and dusty under a scorching blue sky, with tremendous hazy valley views on all sides. Monte Alban is a truly exhilarating experience, but it would also be a mistake not to see Mitla, some fifty miles further south along the Oaxaca valley. Lacking the sheer size and brute power of Monte Alban, Mitla, at first sight, seems a much poorer set of remains. But there is much elaborate and delicate frieze stonework here that is worth seeing. If Monte Alban was the work of gigantic visionary architects, then Mitla was carved by artists of much greater sensitivity. However, you spend your days, the evenings in Oaxaca are for strolling or sitting by the Zocalo. Here you can watch the evening flag lowering ceremony, listening to the music from the pavement cafes, or from the bandstand under the great eucalyptus trees. Enjoying a beer, a tequila or a coffee or just browsing in those little jewelry treasure shops are more pleasurable experiences. Half of Oaxaca will be here, doing what Mexicans do best, just enjoying the warm summer evening. Join them and relax, soak up the atmosphere. After all, you are on holiday. Robert Leader is the author of more than sixty published novels. His website at http://www.robertleaderauthor.com is a showcase for a lifetime of traveling and writing. There you will find a full autobiography and details of all his books, which include crime novels, thrillers, horror and fantasy fiction. It also highlights the six books of EXTINCTION'S EDGE, which tell the story of Vietnam from the fall of Dienbienphu and the end of the French occupation of Indo-China to the Great Tet Offensive which led to the end of the American War. These six books form the ultimate novel of Vietnam. There are free read extracts and the stories behind the stories which explain how the books were inspired and came to be written. Pictures are available to illustrate all of Robert's ezine articles. Please contact and request through the website. The country of Mexico is such a great place to have your vacation. There are lots of attractions that can captivate your heart and mind. Generally, the attractions are categorized into four major types and these are resorts and beaches, its colonial-era architectures, its ancient Native American archaeology, and eco-adventure tours. It’s very ordinary if you try to visit several of the major attractions in Mexico. But if you want total adventure you can visit them all. However, to see all the attractions, you should have your Mexico travel guide. You can get Mexico travel guides from travel agents near you. You can also search some Mexico travel online sites for the best offer available. Precisely, online Mexico travel guides are the best place to find the idea of what you like to happen for the much-awaited vacation to Mexico. Online travel sites have the complete information of the best place to go, on what you can expect when you get there, and the cost of the tour package. Since Mexico is a year-round tourist destination, there is a possibility that your planned vacation will coincide with its tourist peak season. With other tourists on your side, there is a chance that some of them can be your friend. To be in another company can be an exciting one when visiting different places. 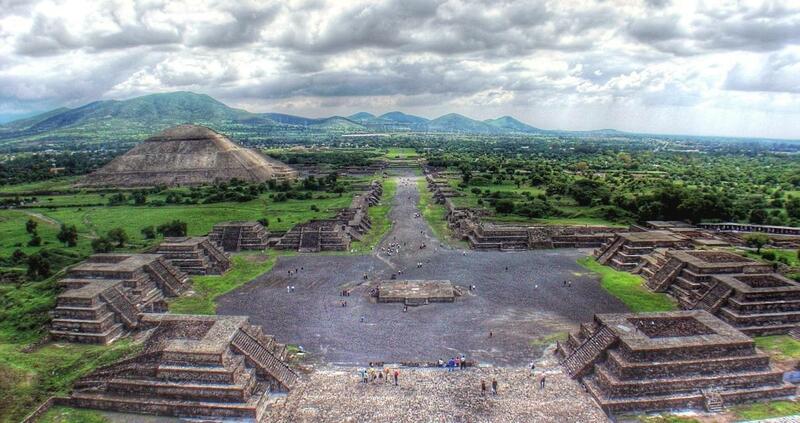 Locations like Guadalupe, where you will find the Teotihuacan Pyramids and Guadalupe Shrine are spectacular to see. In El Tajin, you can explore the ancient Pyramid of Niches and other remains of the ancient civilization of Veracruz. In Cancun, famous for its world-class beachfront can be a fabulous place to stay and enjoy. With different exotic places to visit, Mexico travel guides will keep you informed where to stay. There are cheap hotels and resorts throughout Mexico. On the other hand, Mexico hotel rates are high from December to April and low for the rest of the year. But still, you can look for some best bargains in spring, summer, and fall seasons. Contrary to some impressions about the weather conditions, Mexico doesn’t experience reverse weather seasons unlike in the U.S. and Canada. Summer season in Mexico is generally humid and hot, while in a winter season, inland cities experience cool and cold weather condition. If you like to be at a beach resort, it’s advisable to go to Mexico from November to April. With a Mexico travel guide in tow, your Mexico vacation will be full of memories you will never forget. When you think about history and Mexico there are a few locales that come to mind. The one that really stands out is the area of the Yucatan peninsula that encompasses the area once dominated by the Mayan people and where you can still find incredible evidence of their advanced civilization. Just a short drive from the high-octane resort towns of Cancun and Cozumel are examples to be found of the height of Mayan architecture and civilization. Many travel providers can set you up with tours that will let you enjoy and explore several archeological sites and still put aside time to lounge on a beach to soak in the sun. This gives you the opportunity to have an educational experience as well as a relaxing vacation. Spend a few days traveling to several of the most well-known ruins and then kick back with some typical water activities. The most famous Mayan ruins are at Chichen Itza, which is close to Merida, the capital of Yucatan. It is estimated Chichen Itza was established in 432 AD and is one of the finest examples of Mayan architecture ever excavated. You can climb the pyramid known as "El Castillo" and learn how it is set up to have significance in how the Mayans viewed astronomy. There is also the largest ball court in Mesoamerica located here, which hosted games where the losers may have been ritually sacrificed. The blend of science, religion, and architecture in the city can be very impressive. 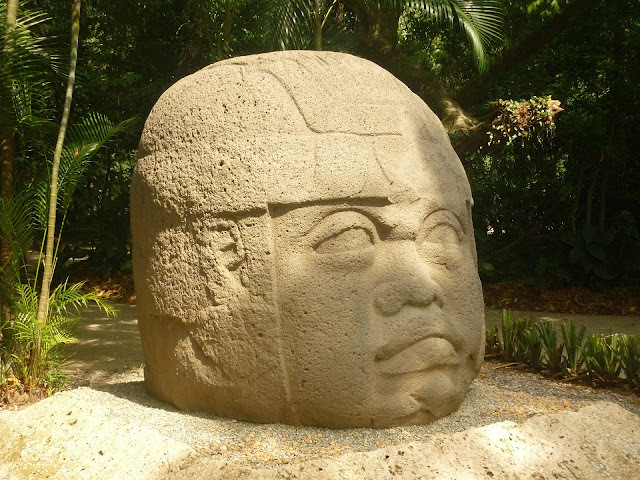 Another more recently found site is at Palenque, in which in 1952 the mummified remains of Lord Pakal, a ruler during the sixth century, were found in a large sarcophagus. There are many exquisite examples of Mayan architecture located here, such as comb-like decorations on the roofs of the temples and intricately carved wall panels. There are over 200 buildings at this site, which are probably more than enough to keep you exploring most of the day. A visit to Tulum can provide some seaside ruins to explore for a half a day or so, but it also gives you the opportunity to snorkel and check out some of the underwater caves that are near there. After that, it is a short trip to either Cancun or Isla de Mujeres for some rest and relaxation so you can reflect on all the history you absorbed. And the margaritas are good there, too. Just south of Tulum you will find Sian Ka'an, a UNESCO World Heritage Site. This ecological reserve has a lion's share of natural beauty, but it also highlights 23 archeological sites of Mayan civilization and contains an ancient trade route that serviced the cities of Tulum and Muyil during the Mayan era. 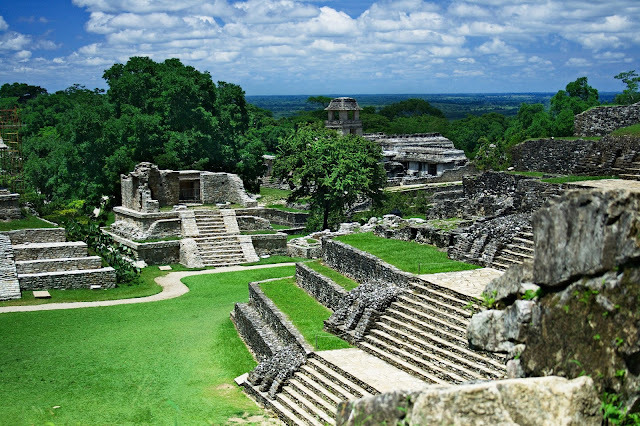 The entire Yucatan peninsula is chock full of the history and architecture of the Mayan civilization and it gives us a glimpse of what life was like in the prehistory of European colonization of the Americas. If your idea of a great vacation to Mexico is to learn about its history and heritage, then this is the number one place to go. If you are planning a trip to Mexico, there are a number of important factors that you should first consider and prepare for. These factors are considered safety precautions. Traveling to Mexico is fun, but it can be also dangerous, especially if you don’t know what to do or how to protect yourself. When visiting Mexico it is important to register with the United States Travel Registry to ensure that the government knows that you are leaving the country. This is the first step to staying safe while in Mexico. In the event that you become the victim of a crime, you will receive immediate government assistance. When using the internet to register with the United States Travel Registry, be sure to leave a detailed itinerary of your plans on your computer. You should also make sure that you leave information regarding your travel plans with a close friend, family member, co-worker, or neighbor. You are encouraged to make copies of your airline tickets, as well as your passport. You want to take a copy with you and leave another copy at home. This will help verify your location if something should go awry. You should also designate someone you know as your emergency contact. Use common sense in the hotels, on busses, or walking in the streets of Mexico. Don’t take taxicabs that you have just waved down on the streets. Many crimes are being reported of people who haven’t previously arranged for taxis. You should also never carry large amounts of cash, flashy jewelry, or extra credit cards with you. When you are a tourist, shady people will already notice you and single you out. Be on the lookout for and avoid these individuals at all costs. If you think that you know all there is to Mexico you are most often wrong. Public drinking is often shown in films as the norm, however this is a crime and you can be arrested for being intoxicated in public. You should also use caution when drinking in nightclubs or bars during the evening hours. People who wish to victimize tourists often drug them. You should always use caution, no matter where you are. Despite being cautionary at all times, you should also use caution when traveling by bus and other forms of public transportation. You should always stay alert during nighttime travel and while traveling during busy bus hours. It is becoming more common for tourists to be mugged while riding on the busses in Mexico. The busses where these crimes are taking place are often the cheapest forms of travel. You may want to ride first class and have someone that you know and trust with you. If you need help while in Mexico you should contact the United States Embassy. There is also a twenty-four hour hotline for the Mexican Ministry of Tourism. There is also a Mexican version of 911; it is 060 for Mexico City, and 066 for other areas of Mexico. This will put you in contact with Mexican officials immediately. There is also a Mexican Red Cross that will help if you are injured and need medical help. The Red Cross is free of charge and they will provide basic medical attention. The above mentioned precautionary measures and important phone number are just a few of the many that you should know. Despite what you believe, staying safe while on vacation in Mexico shouldn’t begin as soon as you arrive. You should start taking precautionary measures before you leave for your vacation. There are thousands of volcanoes in Mexico of which many are very fascinating. One of the most interesting and the smallest is located in a suburb of the city of Puebla. The "Cuexomate Volcano" weighs about 40 metric tons and stands just 43 feet tall with a reach diameter of 75 feet. Its name Cuexocomate which comes from the Nahuatl language and it means a bowl. Cuexomate was created in 1664 as an offshoot parasitic cone during an eruption of a much larger volcano named Popocateptetl. Cuexocomate is an inactive volcano, yet nearby residents are concerned, since Popocatepetl has been increasing in activity over past years. If Popocatepetl were to erupt again, it is believed that Cuexcomate with its subterranean link could re-establish and the worlds' smallest volcano suddenly becomes much larger. The third largest mountain in North America is only a few hours from the Mexican City airport. Climbers from throughout the world looking for fresh and unlike experiences and an altitude that is higher than any in the United States, can fly to Mexico City and set personal altitude documentation on the Mexican Volcanoes. Popocatepetl began erupting in December of 1994 and thousands of residents were evacuated from the area. The evacuations have since been cancelled but it has been closed to climbers since then and it seems that it will remain closed for many years to come. As recent a May of 1996, the bodies of five climbers who had gone to film an eruption, were found. The cause of death has never been revealed. For now, Izta is open for climbing although if Popo blows its top, you would not want to be in or near the cities of Puebla of Amecameca. Izta does have huts that are only several hours hike from the road. These huts are basic and undersized. At almost 16,000 feet they have a great view but beware of potentially fatal altitude sickness. Pico de Orizaba is farther, being approximately 100 miles away. Pico de Orizaba is unaffected by eruptions of Popo. Traveling to Pico has its hazards. You must go through a dry trail that is about one foot wide and has a steep slope on each side. A slip on either side could put you inside the crater or down the side of the volcano. This hike will certainly tire you and it will also have you short of oxygen. There is no room for potential error so you must stay alert and use your ice axe. Orizaba is the most far-flung while Pope is the most well-liked. The winter holidays are the most popular climbing days. While there, you can tour the many destinations in Mexico City and Puebla. Mexico City is at 7,200 Ft and Puebla is at 7,000 Ft. You can take in some relaxation, shopping eating and so much more. These are only four of the thousands of volcanoes in Mexico yet all of these mountains are major glaciated peaks. There is certainly a minimum skill set for these peaks which include self-arrest skills, glacier travel experience and crevasse rescue practice. Most importantly, remember to enjoy. Are you thinking about visiting Mexico or would you like to have more information on Mexico and its' history and culture. You can find many articles about Mexico's history and culture @ [http://www.mexican-wholesale.com]. You can also visit http://www.kwintessential.co.uk for additional help or information you may need. Each year, millions of individuals travel to Mexico. Many travel to Mexico for a vacation or a business trip. Whatever your reason for traveling to Mexico, there are a number of important things that you must consider. Perhaps, the most important is the laws in Mexico. As with any country, Mexico has a large number of laws that are currently enforced. While it may be impossible for you to examine each and every one of these laws, you are encouraged to familiarize yourself with the most important ones. For instance, many individuals believe that checking in at the boarder is all they have to when they arrive in Mexico. Once in Mexico, you are encouraged to use alcohol with caution. Mexican authorities often arrest individuals that illegal purchase alcohol, cause a public disruption, or drink in areas where alcohol is not permitted. In the United States, illegal drinking activities are taken serious, but it is nothing compared to Mexico. All punishments will vary, but you easily spend a number of months or years in jail. That is why all tourists are encouraged to use their best judgment when alcohol is involved. Do you love to travel? Would you love to go to a place which you are unsure if it has something to offer? Will you take a risk just to experience new things? If you answer is yes, then your next stop should be Mexico. Think of 22 million people at only one place, wouldn’t it be amazing? Thus, for most people, appreciating the heart and soul of Mexico is just the same as overwhelming scheme. Mexico is a federal district like the Washington D.C. of the United States. This is roughly 700 years old and is the main city on the continent of North America. It has been a successful cosmopolitan center for nine centuries since the time it was founded as the primeval capital of the Aztec Empire. It is the oldest constantly populated city in the Western part of Hemisphere. Today, it is a lively cultural and business center in the modern world of the 21st century. But it still maintains its radiant historic and architectural inheritance. It is a tourism spot. Mexico is not intimidating as what others usually think. As a matter of fact, most of the sceneries, cultural and historical spots are small and independent. Just think of it as the Manhattan of Latin America with just similar outstanding attractions and promises. Tourists can take a tour to Historic center, some of the great museums, and significant historic areas. The control of Spanish can be felt and seen on the buildings and architectures. The center of Metropolitan Cathedral is also a nice place to go for tourists. The whole area of Mexico is loaded with sceneries, history, and fine restaurants and shopping. There is also the canal system which takes visitors on a trip using a flat bottom boat. Fruits and veggies are also on its abundant growth which gives the place some of the finest produce and a unique attraction for tourists. Mexico is a true fortune only if you get time to appreciate it, recognize it and feel it. If you decided to have a trip in this place, you will most likely feel that you have tripped to an agreeably amazing and fascinating haven. Tourists who love sophistication, culture and traditions, art and history, would possibly put this place on their top destination list. A good tourist should not base their choice of destination to the opinion of others. Every traveler has his own taste and appreciation of things. What is annoying and awful to some might be wonderful and enjoyable to you. Traveling needs a lot of consideration. And your consideration should also include the right of some place to show its natural goodness to you.